Mary is a Registered Nurse with over 40 years of experience in a variety of clinical settings. She retired in 2015 from her work as a Parish Nurse working in the community for a large hospital system in Cincinnati for the past 16 years.. She received certification as an HT practitioner in 1998 and as a Level 1 instructor in 2000. Mary incorporates HT in her work with clients and believes strongly in teaching clients basic HT practices for self-care. Mary is passionate about teaching Healing Touch and believes it is a privilege to introduce new students to the work. 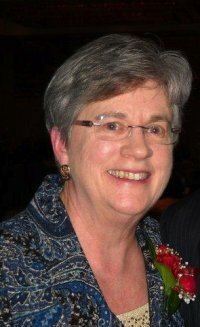 Mary is very active in the local HT community in Greater Cincinnati through facilitation of a monthly practice session; supporting the annual OKI educational conference held at the end of April and mentoring level 4 students. She has also served on the planning commitee for the HT Worldwide Conference. Honors: Mary was a recipient of the Florence Nightingale Award for Excellence from the University of Cincinnati College of Nursing in 2010. Mary also has experience teaching holistic and multicultural wellness practices through Capacitar International both in the US and in South Africa. She is the co-author with Patricia Cane, PhD, of Capacitar for Kids: A Multicultural Wellness Program for Children, Schools and Families.